I cannot figure out for the life of me why I didn't like this better than I did. Which is not to say I didn't enjoy it; I stayed up until 1:30am to finish it, and it kept my attention, and I didn't ever feel like throwing it across the room or giving up. I just didn't love it and I can't figure out why. And unfortunately I didn't take adequate notes, and so this review is going to be an awful lot shorter than it might otherwise have been. It's exactly my kind of candy - historical romance (Regency, even), plus mystery, plus science fiction/fantasy. There are spicy bits, believable spicy bits. And it was smart and well-written, too. I did find it sagged in the middle, but to be honest, a lot of what I'm reading these days seems to sag in the middle and that suggests to me that it's more me than the book. Nicholas Davenant used to be a marquess. He used to be fighting Napoleon, an officer in the British Army. But then one day, a Frenchman was about to cut him down - and instead of dying, Nicholas disappeared, jumping ahead in time to the twenty-first century. He is greeted there by a representative of the Guild, an organization devoted to finding, rescuing, and helping acclimatize those who make the jump from the past. He is taught how to build a new life, and while there are hints that things might not be perfect and he misses his family and his old life, he spends ten very happy years in Vermont, farming. But then his suspicions bear out - things aren't entirely right, he hasn't been told the whole truth, and he's about to learn all sorts of new and unsettling things from the Guild. And that's only the summary of one character - Julia Percy, being the other, is an orphan, and neighbour to Nicholas' family. We meet her just as her beloved grandfather is dying, and she is about to be alone in the world, faced with a desperate, and desperately mean, cousin taking over the estate. The narrative switches back and forth between these two. I didn't particularly love any of the characters, even though I enjoyed them and particularly Julia. 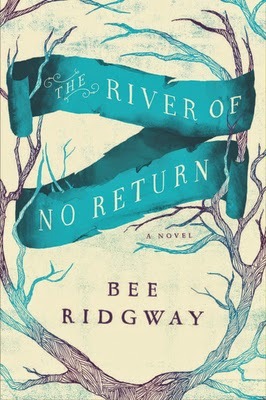 I did love that Ridgway made things so complex; none of the characters are black and white, evil or not - even Mr. Mibbs, who does veer very close to irredeemable villain, has enough mystery surrounding him that I'm prepared to concede that he might have some sort of reason for being so thoroughly horrible. Arkady, for example, could have been a creepy, frightening, powerful villain - but while he's slightly creepy, and frightening, and powerful, he's not entirely villainous. His motives are clear and his actions, while repellant to the mains and therefore the reader, make a kind of sense. I believed that he believed he was doing the right thing, or at least, the righteous thing. That's not always an easy thing for an author to pull off. The twists were varied and some of them I saw coming, and others I did not. It's a bit of a maze of a book, but it never really seemed to lose its way, if that makes sense, despite my feeling that things got a bit slow in the middle. The ending was a satisfying cliffhanger, if that makes sense. There's a lot to explore in the next book, and nothing feels quite safe or secure, which is exactly as it should be. So why didn't I love it? I still can't say for sure. That I never really connected firmly with any of the characters is probably the big reason, but I'm not sure what it was that kept me from connecting. Certainly the plot was well-done and the historical bits very well-done, and the characters were interesting. It just didn't connect. So don't let me stop you from reading this, is what I am trying to say, if it tickles your fancy - you'll probably have better luck than me. But there is something mildly disappointing about finding book likeable when I really expected to love it. I found the book in the local library after reading your review and I had similar experience - I was interested to follow the story, liked especially Julia ... but at the same time I did not warm up enough. But I am quite likely to read the sequel - I would like to know what the deal is with Mr. Mibbs and will it go like some other lines of the narrative went, hence just connecting the storilines and characters more tightly together? Ah, but WAS he truly awful? After all, at first the Ofans also seemed like the bad guys, until we learned better. Sure, Mr.Mibbs caused some suffering - but what if there would be an explanation and that bit of suffering turns out to be a side effect of some bigger picture yet again?